There’s a bit of confusion among the average South African consumer about how fibre networks operate; specifically around who installs them, and how it’s possible to see a DFA, OpenServe, or Vumatel van driving around but not see those companies directly offering uncapped fibre connections for homes and businesses. To get a complete picture, know that there are multiple companies all digging up the pavements in city centres, suburbs, and in busy industrial areas. There is no one “ditch-digging and fibre-laying” company – this is an ongoing effort by several big players in the local telecoms market to lay as much fibre as possible, with which to build networks on top of which they and other companies – independent Internet Service Providers (ISPs) – can offer internet services. Here’s how the creation of fibre networks works in South Africa: A company that builds networks will negotiate with municipalities to get the right to lay their fibre cables in specific areas. Those companies – like DFA, Vumatel, and OpenServe – will then go ahead and do all of the digging and cable-laying, and connect those cables up to businesses, business parks, residential complexes, and standalone homes so that those locations have easy access to their fibre network. Once these networks are in it’s up to other companies – the ISPs – to complete the “last mile” installation, which is the act of connecting the end-user customer up to the wider internet. That means the installation of the “Customer Premises Equipment”, or CPE, and then making sure those CPEs and the routers attached to them are connected to the ISPs’ larger network. In Dark Fibre Africa’s case, they are responsible for the physical fibre itself, on top of which other companies provide services. Hence the “dark” in their name: they build fibre networks that are often not “lit” with connectivity; it’s instead the physical infrastructure on which other companies create their own networks using their own equipment. DFA also offers lit connectivity for those service providers that don’t want to have the burden of operating and maintaining their own equipment. Dark Fibre Africa’s philosophy is one of “open access”, which grants equal access to their fibre networks to anyone that wants to (and is willing to pay to) use it. They work to ensure their fibre infrastructure is of the highest quality and focus their efforts on maintaining it to a very high standard. This, in turn, lets ISPs focus on their core business rather than the maintenance of the network on which that core business runs. DFA’s desire to deliver high-quality services to their clients means they offer a world-class uptime of 99.98%, and a commitment to fixing any issues on their network within four hours. That, in turn, means companies that offer services on top of DFA’s network can rest easy in the knowledge that their ability to deliver is in good hands. Will you, as a consumer, see an internet connection offered by DFA? You will instead see ISPs like Afrihost, Vox Telecoms, Axxess, and others, offering affordable fibre services, some of which will use DFA’s network, some of which won’t. 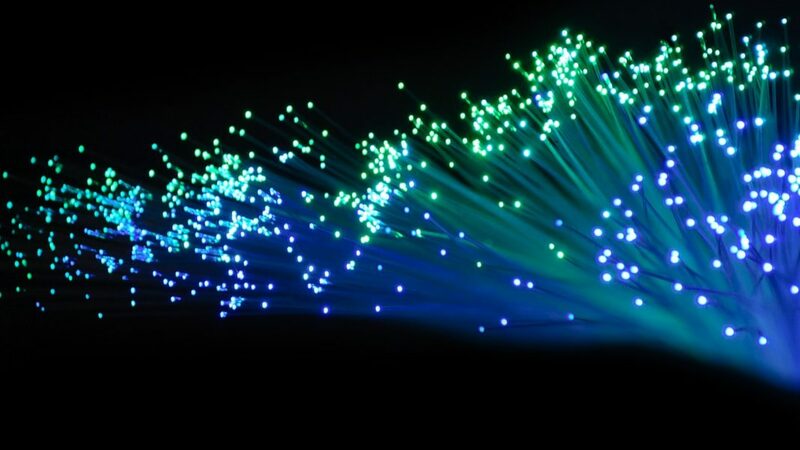 The point of DFA, and other fibre infrastructure providers, is not to be visible to or to interact with end users, but to rather be the go-to companies for ISPs to approach when it comes to the building and maintenance of the underlying fibre infrastructure that powers their increasingly more affordable connectivity offers. And that’s how fibre works in South Africa, specifically open-access fibre networks.